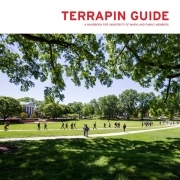 Terrapin Guide is the University of Maryland handbook for the parents and family members of our undergraduate students. The handbook is published each year in July. Click on the photo to download the latest version of the handbook (PDF) in English or Spanish.